The case for gender diversity on corporate boards around the world is clear. A growing body of literature connects the higher representation of women in boardrooms with better performance and effective decision making. Appointing more women directors can enhance good governance, corporate social responsibility, and in some cases, improve company profits. Furthermore, gender inclusive corporate boards have the potential to transform how the next generation of professional women are treated in the workplace. 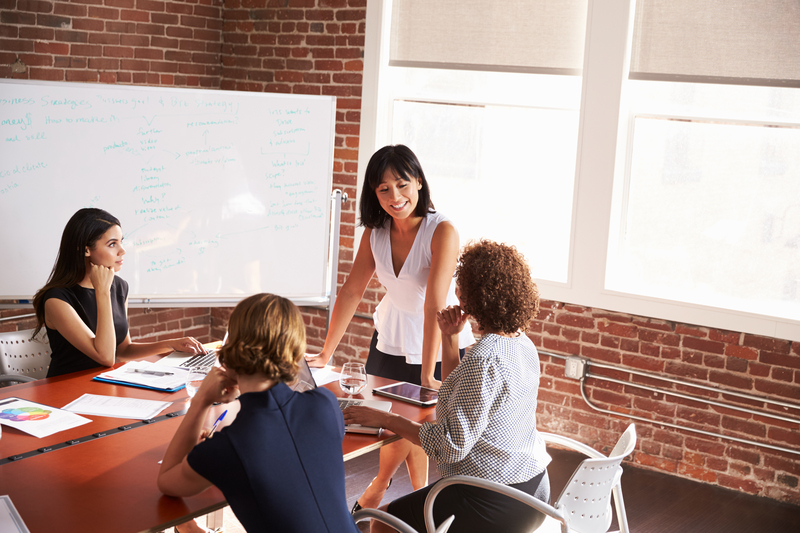 Researchers have identified a trickle-down effect from a higher proportion of female leaders to improvements in the gender salary gap, flexible working arrangements, and attitudes towards inclusion. Here in Australia there is encouraging progress. Companies listed on the Australian Stock Exchange are required to establish non-binding targets for women in leadership and provide annual data to measure change. The Australian Institute of Company Directors’ survey found that women occupy 25.4 per cent of directorships on the ASX200, 29.1 per cent across the top 20 companies on the ASX, and 29.1 per cent across the top 50 companies. This is in contrast to government boards where women hold 40.5 per cent of board positions. Companies and governments in our region are also racing to secure the diversity dividend. Among the top 100 businesses in Malaysia, women now represent 16.6 per cent of board roles, a proportion which has doubled since 2013. There has been surge in female directors over the last year among Indian companies, with women occupying 12.4 percent of board positions. In 2014 the movement gained wider traction with the formation of the Diversity Action Committee. The DAC has reframed women on boards from a social issue to a business imperative. Women’s groups and the government often frames gender inclusive workplaces as a solution to Singapore’s ageing workforce while also calling for mandatory diversity target setting. While diversity disclosure remains a voluntary practice, there is an increase in the amount and reliability of data. Recent research shows that women occupy 12.2 per cent of board roles across the top 100 companies listed on the Singapore Exchange and 14.4 per cent across the SGX50. Some 19.5 per cent of government appointed statutory board positions are held by women. But in both Australia and Singapore, there is still work to be done on closing the gap between senior executive roles and directorships. In Australia, against a backdrop of some progress at the board level, there is little evidence to suggest the increased board representation is associated with an increased proportion of women occupying chair or executive positions. Industry expert Conrad Liveris has crunched the numbers and found there are more men named Peter than women among ASX 200 CEOs. There is much work to be done to develop an upward trajectory in these latter roles. The opposite is true of Singapore, where women occupy 21 per cent of leadership roles in senior management. This is almost twice that of women directors in the SGX100. And it’s suggested that this advancement blockage is due to the tenure of directorships. More than 27 per cent of directors remain in their position beyond ten years, resulting in an ageing network of male leaders. And when new board roles do become available, they are more likely to be filled by men. Over the past two and a half years, 40 per cent of new board appointments were first time directors, and 80 per cent of these were men. Given this situation, Singapore looks set to cross the inflection point where companies will actively add more women to their boards. There are a range of innovations in the workplace that strategically focus on increasing women’s representation on boards. Back in Australia, a recent report released by Asialink Business, Match Fit: Shaping Asia Capable Leaders, found that female senior executives in Australia outperform male executives by between four to eight times across a measurement of six individual Asia capabilities. Their biggest strengths are in their knowledge of Asian markets, extensive experience operating in the region, long term regional relationships and the ability to adapt to Asian cultural contexts. Female senior executives are well positioned to elevate into board roles, particularly as Australian boardrooms gravitate to the growth opportunities of the region. A noticeable trend globally is that boards are prioritising new areas of expertise to fill emerging gaps and recruiting non-traditional candidates, including younger executives, who can bolster the collective knowledge of a board. Areas of new expertise commonly sought includes social media, cyber security, big data, and human capital. The use of targets and quotas are often debated. According to the Australian Workplace Gender Equality Agency, “organisations that set targets are more likely to succeed at increasing gender diversity”. Initiatives of male leaders such as Male Champions for Change are engaging men in the drive for talent diversity and ensuring gender inclusion is not a ‘women’s issue’. Minimising the risk and effects of selection bias, sharing best practice, mentoring and sponsorship programs, and government leadership are common innovations between Singapore and Australia. For all this activity, the campaign for gender diversity needs to move this conversation beyond the narrow group of industry experts and corporate advocates. While Australia, Singapore, and most of our neighbours in Asia are making progress, gender bias in networking and recruiting will continue to frustrate even the most compelling business case. At this pace, full gender equality in Asia’s corporate landscape will only be achieved by our children’s generation. Asialink Diplomacy managed a joint ministerial roundtable in Singapore hosted by Australia’s Minister for Foreign Affairs, Julie Bishop, and Singapore’s Second Minister for Foreign Affairs, Jospehine Teo. The Singapore-Australia High Level Women’s Dialogue was held under the auspices of the Singapore-Australia Comprehensive Strategic Partnership, and was funded by the Department of Foreign Affairs and Trade. This article first appeared in the University of Melbourne's, Pursuit.